$10 off daily admission and up to $100 off conference through May 13! 600+ EXHIBITORS The IECSC show floor offers you the opportunity to purchase products and see the latest trends and techniques emerging in the spa and medical spa industries. Targeted Learning Tracks A series of in-depth workshops focused on Spa Business, Esthetics, Sustainability, Social Media & Marketing and Medical Spa. Each track includes 4 classes. CIDESCO USA Education CIDESCO is an international beauty therapy association representing the highest standards of esthetics in more than 33 countries. CIDESCO USA classes offer the latest technical and business education for serious spa professionals. Makeup Workshops These workshops are designed to give the makeup artist an in-depth look at important techniques in their field. It’s also a great opportunity for the spa professional looking to explore the makeup field. Spa Journeys with American Spa We will visit two of the hottest wellness centers in Las Vegas. Product Focused Education Access to 123+ classes, free with daily admission ticket. IECSC Las Vegas co-locates with the International Beauty Show (IBS Las Vegas). 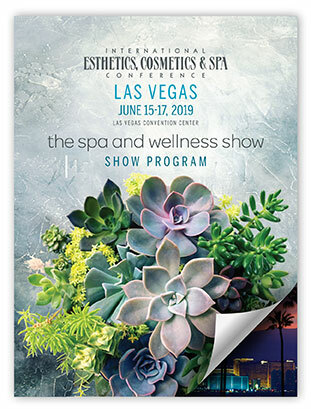 Shop from an additional 350+ beauty exhibitors FREE with your IECSC Las Vegas exhibit hall ticket!